Musicians have been influenced by the blues ever since the 1920s and 30s, and they still are. Those from the early part of the last century have all played a role in contributing to the dynamic blues scene of today. 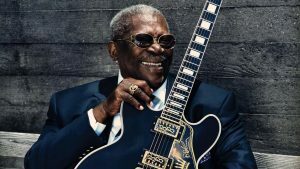 There are so many great blues musicians, and everyone has their own favourites, but here are a few of the most popular. For many people, the personification of blues music is represented by the great BB King. In fact, he made number 3 in the hundred “Greatest Guitarists Ever,” in Rolling Stone magazine. King has been recording and playing the blues for in excess of sixty years now, and generations of musicians have been affected and inspired by his fabulous unique style. He holds the all time world title of having one of the most distinguishable styles of guitar, an accolade he truly deserves. Buddy Guy is seen as the king of Chicago blues. Long ago, he made a name for himself jamming with Muddy Walters, and as Chess Record’s in-house guitarist. He also drew in a lot of fans when he joined up with Junior Wells, the leading harmonica player. From the 1960s onwards, Guy’s blues has had a great influence on musicians from all over the world. These include illustrious names such as Stevie Ray Vaughan, Jimmy Page, and Eric Clapton. Robert Johnson is renowned for being one of the world’s most well known blues musicians. He is not only a fantastic blues singer, he is also a great performer, songwriter and musician. In fact, legend has it that Johnson sold the devil his soul in order to have all these extraordinary talents. Johnson was named the all time best blues singer by Eric Clapton, and he was rated number 5 in the Rolling Stone magazine’s list of the greatest all time guitarists.